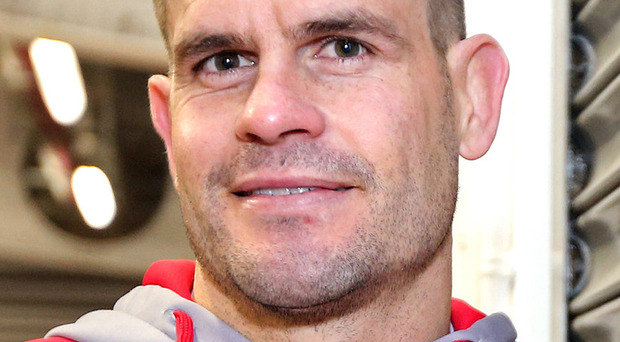 With their Guinness PRO14 play-off hopes hanging by a thread, Louis Ludik has urged Ulster players to stand up to the pressure against Edinburgh tonight (7.35pm kick-off). The Murrayfield side can claim their first ever play-off spot with a win this evening, ending Ulster’s own hopes in the process, while a defeat for Jono Gibbes’ men would also be a serious dent to their bid to qualify for the Champions Cup. “Sometimes when our backs are against the wall, when we’ve no other choice, that’s when we play our best,” said South African Ludik. “Our minds have to go to that place where we play as best we can. “When a person is really under pressure, they perform. Maybe it’s how the human brain works, when you’re really under the pump that’s when you really have to focus. When your job is on the line and you really have to perform it can be a way to get the best out of yourself and the team. Off the back of three straight defeats that have left their season in tatters, Gibbes has responded by making a raft of significant changes including a number of untested players. Tight-head Tom O’Toole has been handed a debut in the No.3 jersey, while two fellow Academy products, Angus Curtis and Tommy O’Hagan, could earn their first caps off the bench. Young lock Matt Dalton has been selected beside Iain Henderson in the second-row while veteran centre Darren Cave has been restored to the midfield for the first time since January.